The human hair goes through several phases of growth, which is why it is completely normal for humans to lose 50-100 strands of hair per day. The biological process of the body is designed to be in balance and the same applies for hair growth. Your hair falls out in order to allow for new ones to grow. But it’s a different case when you see hair on your brush or on your pillow upon waking up from sleep. Does the slightest touch on your hair result in a few strands gathering in your fingers? It is, therefore, important to differentiate what hair loss is part of the normal healthy process that all humans go through. Take time to look into the common causes of hair loss so you know when the rate of loss is still on a normal level or not. 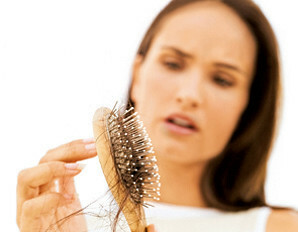 This is the most common reason for hair loss in both men and women. Even the slightest change in one’s hormones can result in major changes in the body. In some cases, stress can be a factor as the body is forced to secrete androgens. The upset in the body’s hormonal balance results in hair loss. Sometimes, hair loss results from one’s own hair care habits. Hair might be naturally resilient but too much stress can make it fragile and vulnerable to breakage. Too much styling and bleaching can gradually contribute to breakage while chemical processes can directly result to hair loss. Make sure you re-evaluate your hair care and styling habits. Speak to your hairstylist first before getting treatment so they can get an insight into your hair history as well as some knowledge about what it can do to your hair. Hair needs vitamins in order to grow and re-grow. Make sure you get enough nutrients in order to facilitate healthy hair growth. An ideal diet to nourish hair includes lean meat, fish, vegetable proteins, nuts, whole grains and fruits. Look for food items rich in biotin, vitamins B, B12, E and A to incorporate into your diet. •	Refrain from brushing wet hair. You’ve probably heard this several times before but it bears repeating. Wait for hair to dry or gently dry it. If you have to tinker with it, use a wide tooth comb to limit damage. A huge percentage of hair loss happens while hair is still wet. •	Take zinc supplements. A deficiency in zinc is the most common cause of circular hair loss pattern and the intake of zinc can facilitate hair regrowth, especially in bald spots. •	When hair loss is caused by intake of birth control pills and medications, consult your doctor. In this case, they might prescribe additional medications to counter the effects that result in hair loss. Biotin deficiency leads to hair loss. There are few hair care products which are rich in biotin.